In the first few weeks of January in Australia, there are many tennis competitions such as the HopmanCup in Perth, Brisbane International Tennis Competition, APIA international Tennis Competition held in Sydney, Hobart Women’s International, Kooyong Classic and of course the Australian Tennis Open held in Melbourne from 19th January to February 1st, 2015. The real reason I am writing this blog post or article, is to dedicate to my Uncle, Gray Hiller. He is a local sporting legend in Devonport, and still coaches at the Devonport Tennis Club. I started tennis lessons with Gray when I was 5 years old in Devonport, Tasmania. While I was in Tasmania recently visiting my family, I caught up with my uncle and was discussing using technology to run a business. I knew he had an iPhone and showed me a video of one of his coaching students with her serve. I commented that there many other apps to help him with his students both young and old! 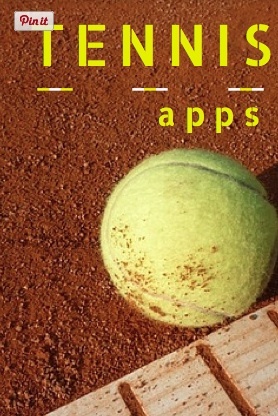 So, a Pinterest board was created just for ‘Apps for Tennis Coaches’. 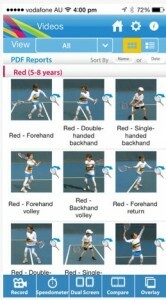 Evernote is an ideal app for tennis coaching clients or students. The ability to add images, add text, add voice recordings and keep all of this information in one note makes it an ideal app for tennis coaches. It is available for Mac, Windows, Web, iOS, Android and Windows devices (Evernote Free, Evernote Premium or Evernote Business depending on your needs). 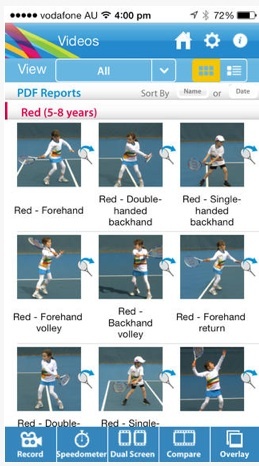 I would recommend Skitch to markup images such as students serving or tennis drills to practice at home. Share these notes with students/clients so they can review the videos and practice in their own time. (Upload the videos via Dropbox and then share the link to Evernote). Use it to record results from tennis games and use ‘Evernote Reminders’ for upcoming matches. Analyse your players strokes using the annotation tools (such as draw lines) to highlight your analysis. When looking for any apps to help you with your coaching or as a player it is helpful that you are able to manipulate video and save the images/video to cloud storage or camera roll. It is also important to be able to share the videos and images via email, YouTube or to other apps if possible. There are more products coming onto the markets such as Smart Racquets such as the Babolat or Sony which taken your tennis game to the next level. Analysing this data is now more accessible to tennis coaches and players at a local level, rather than just the elite players. Tennis Agility Lite is a sports performance training application used to improve lateral speed, agility, quickness, fitness and reaction times. This is done by getting the student to respond to audio and visual cues whilst being within an agility grid. Also included within this app are set exercises and tests including the hexagon agility (clockwise, anti-clockwise, random), the multi-stage fitness test (beep test), pro agility and agility square. These can all be adjusted by the user (Coach). Students progress can then be logged via Facebook and/or Twitter. 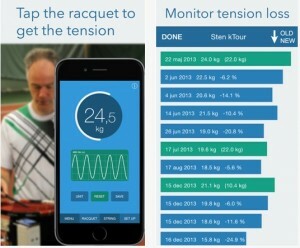 This app is ideal for any tennis player or coach no matter what the level. RacquetTune not only makes it easier to decide when it is time to restring, it is also an invaluable tool when testing different racquets and strings and understanding which racquet to use for different types of games. For more information, go to the Racquet Tune website. So, maybe this is an encouragement for me to get back into my tennis game, now to decide what app I will use to master my game once more! For more information, on what apps are great to use for sports coaching, contact ‘Tech Coach HQ’ for ‘Technology Coaching’ to run your coaching business smoothly.